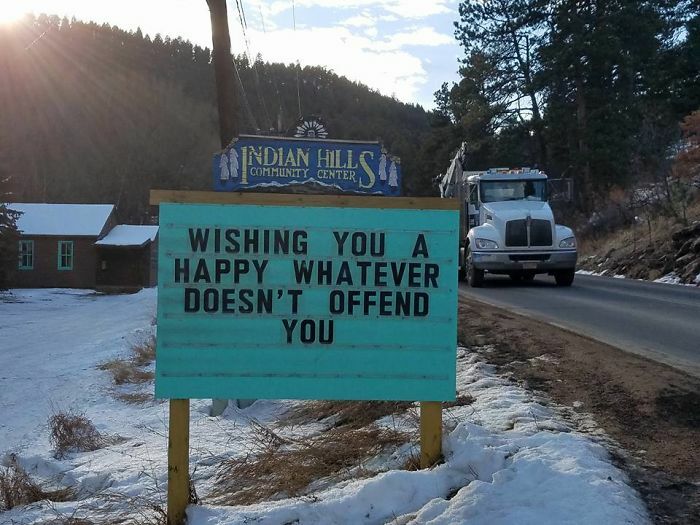 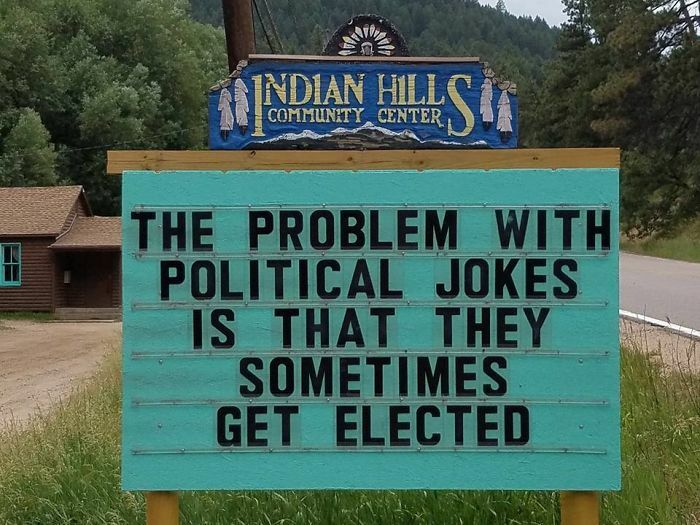 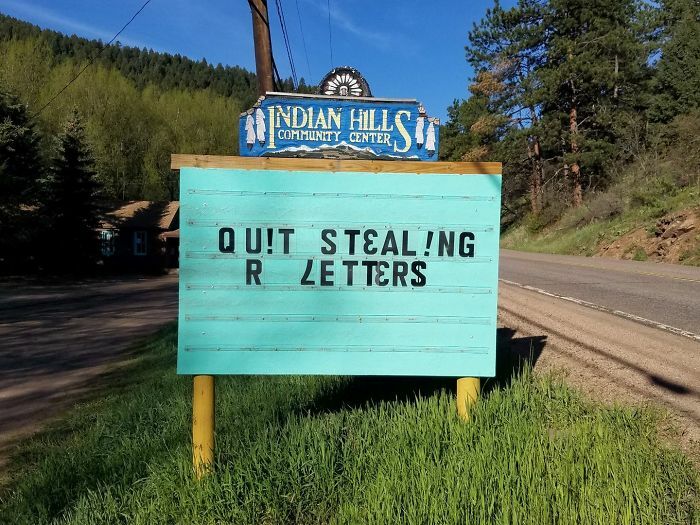 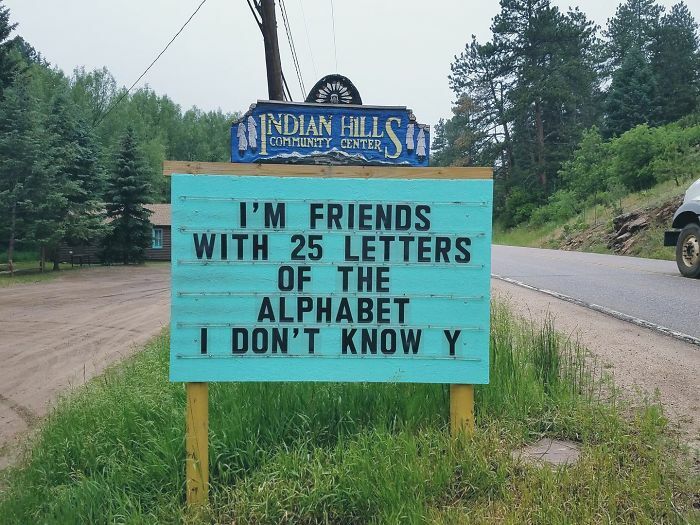 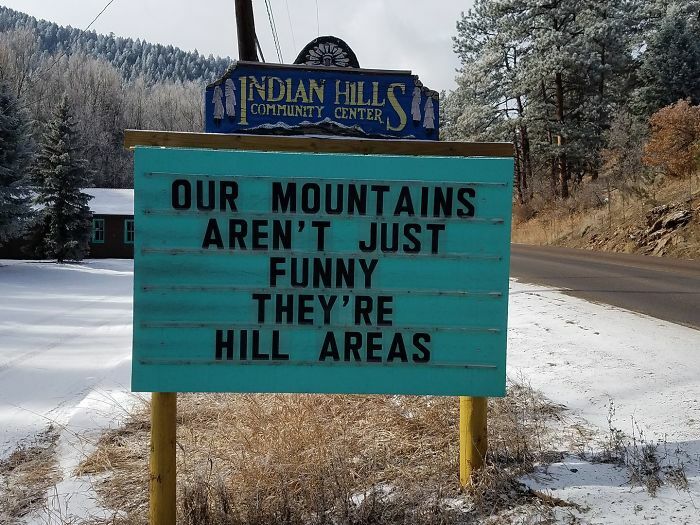 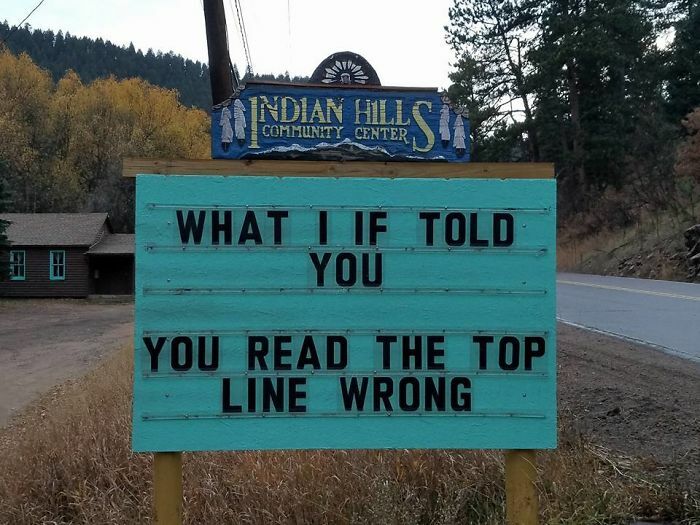 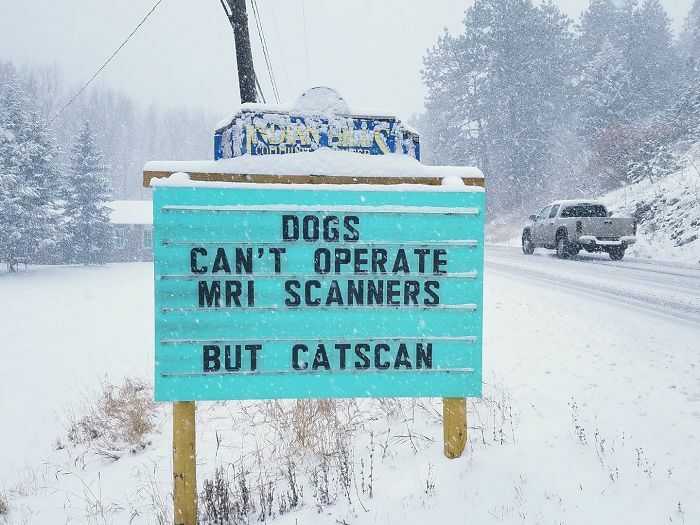 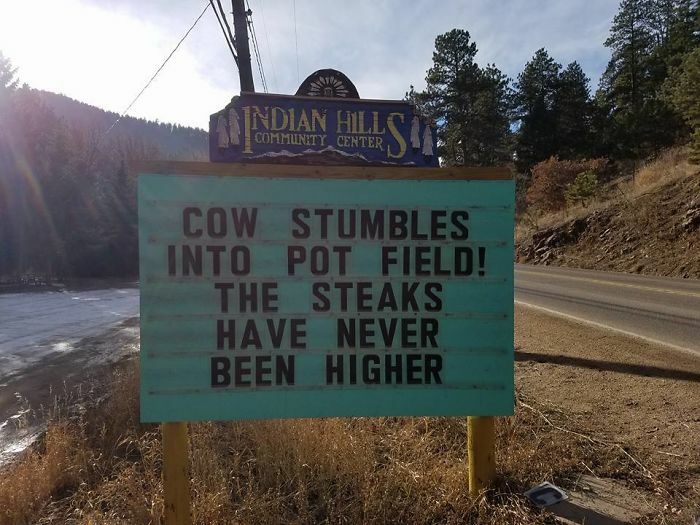 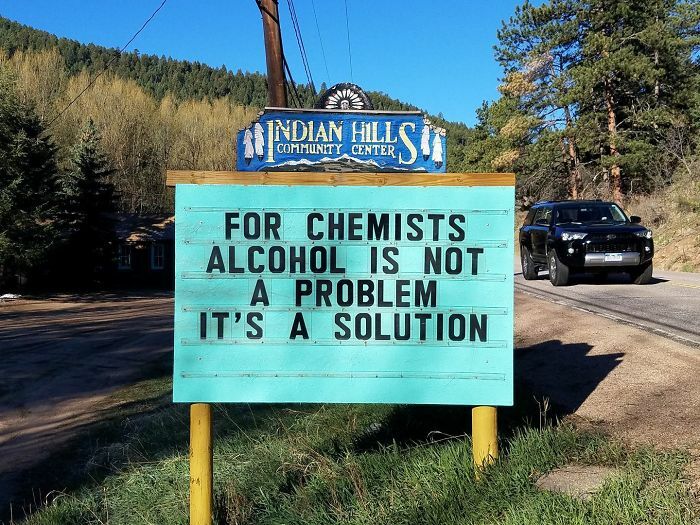 Indian Hills Community in Colorado sure do enjoy a good laugh with their ever-changing and ever-punny signs. 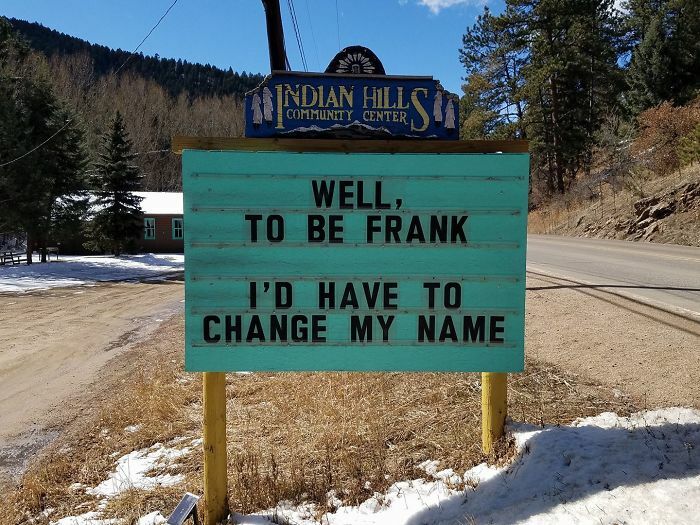 Vince Rozmiarek, a Colorado native and the man behind all the funny jokes explained that it all began when he started volunteering at the community center. 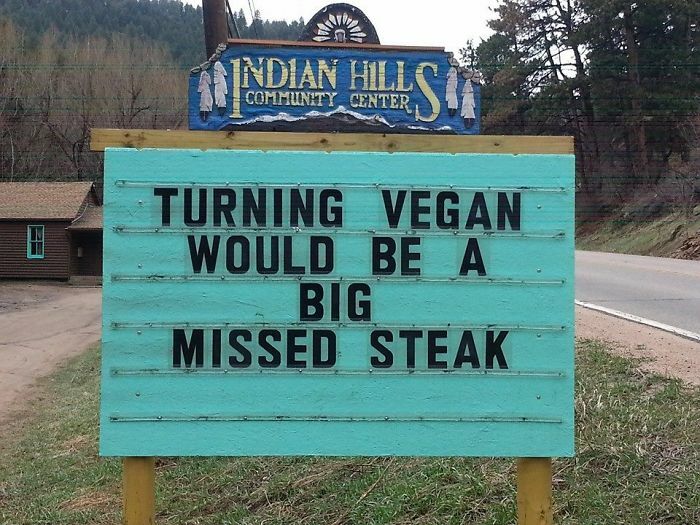 "5 years ago, on Aprils fools day, I put up a sign that really stirred up the area. 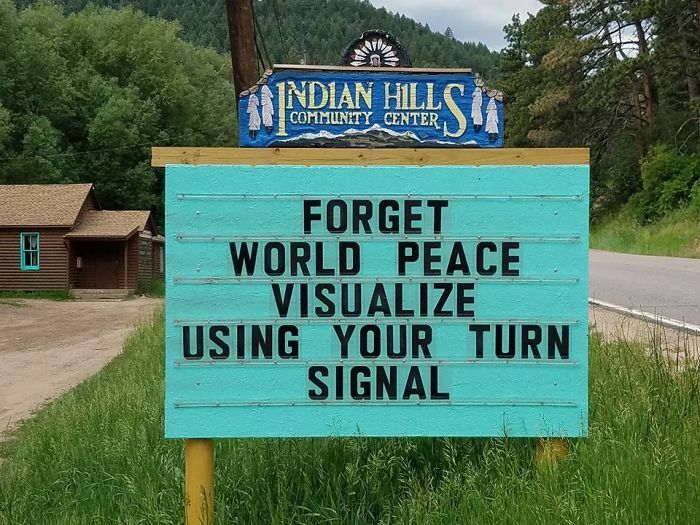 We have a heavy police presence in the town of Morrison, which is next to Indian Hills, and they run a ton of speed traps. 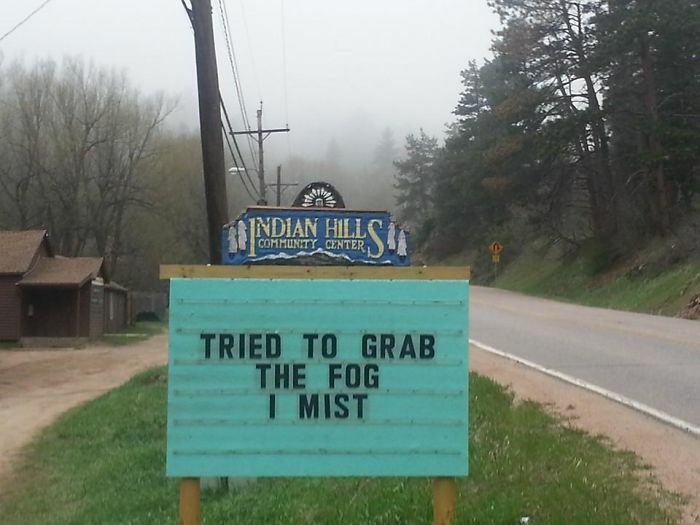 The sign said "Indian Hills annexed by Morrison, slow down". 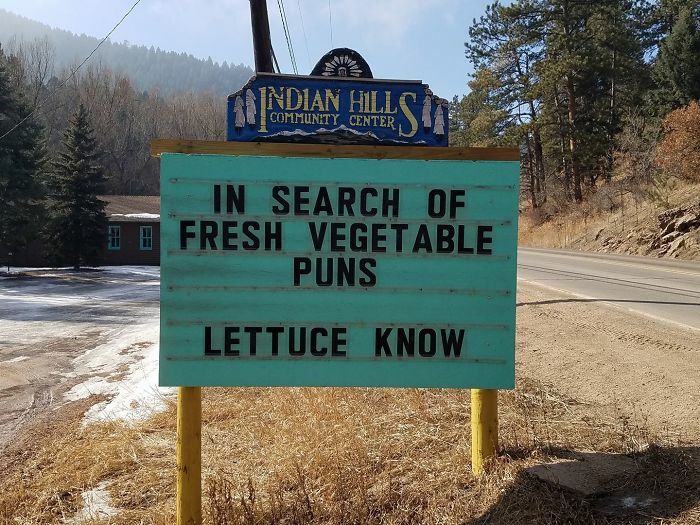 Many people believed that prank, and the amount of attention it brought was really surprising" Vince told. 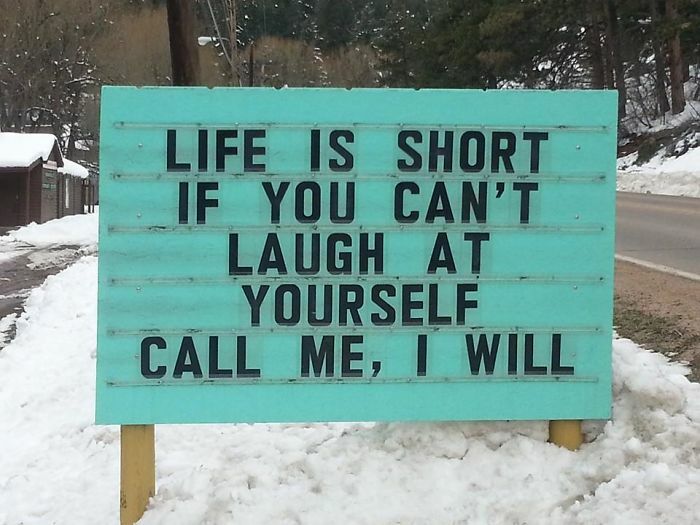 From then on, he decided to put puns and jokes up a couple of times a week. " 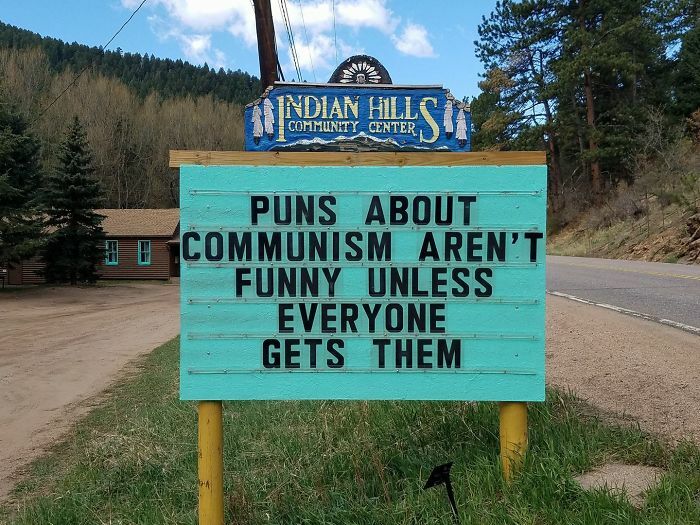 I also try to create unique holiday puns/saying, and current events that I feel are important. 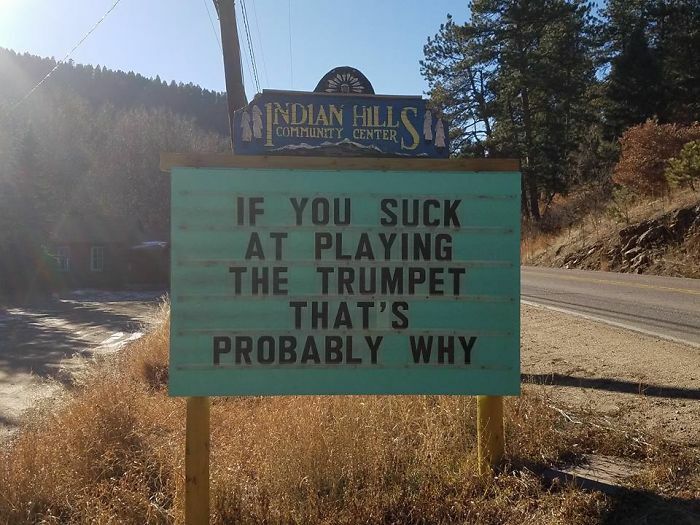 It is hard to keep coming up with material, but I do try" Rozmiarek added, explaining that the reason he does it is very simple – he likes to make people laugh. 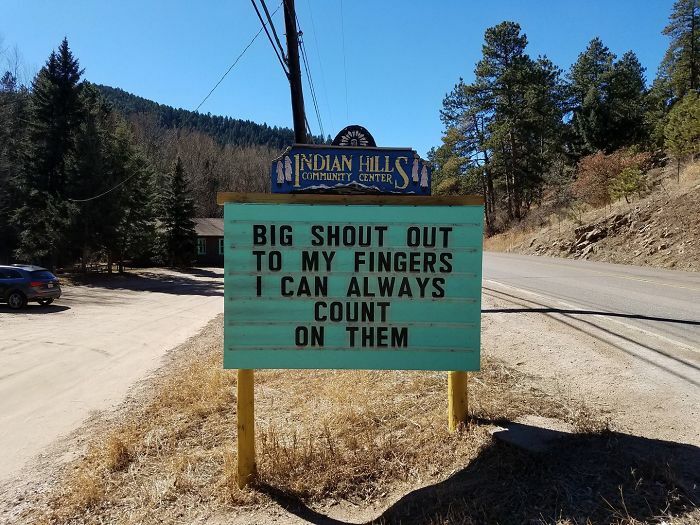 So, scroll down below to check out some of their best signs and don't forget to vote and comment for your favorites!